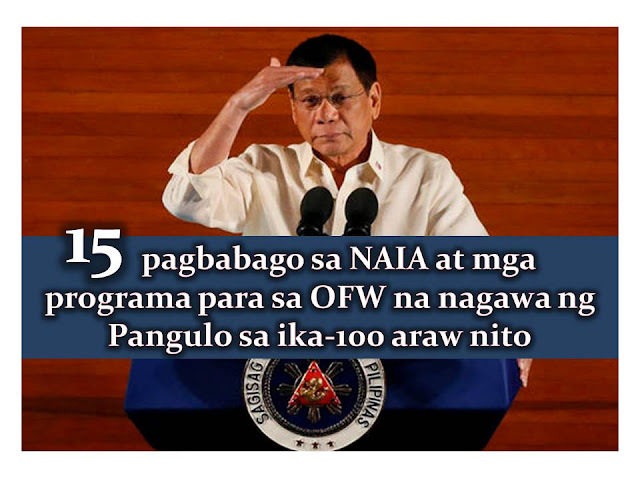 Amid a different kind of controversy in the last three months, Duterte manage to get a "very good" satisfaction rating in the latest Social Weather Stations' (SWS) survey. According to Bobby Lim, under secretary for aviation, removing general aviation from NAIA helps increase on-time arrivals from 47 percent to 71 percent. No more incidents of "tanim-bala" scam which extorts money from returning OFWs and other travelers. 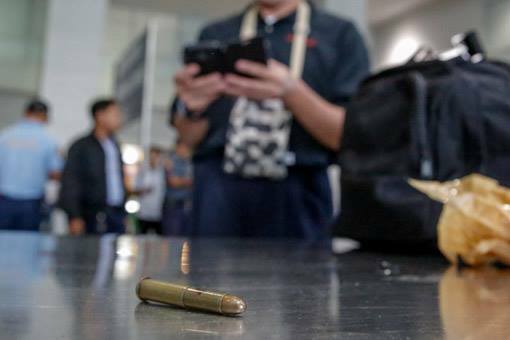 Passengers found with one bullet or bullet amulet in their luggage would be allowed to board their flights without any interrogation or even charges of violating the law after surrendering the bullet. Toilets in NAIA is no longer worst in the world after it was renovated. 4. 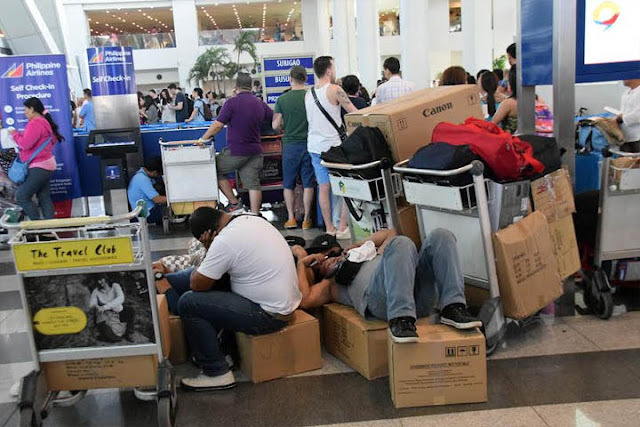 "No Pocket Policy to All Baggage Handlers at NAIA"
Starting October 6, baggage loaders are no longer allowed to wear uniforms with pockets to eradicate baggage pilferage or theft and to improve security. 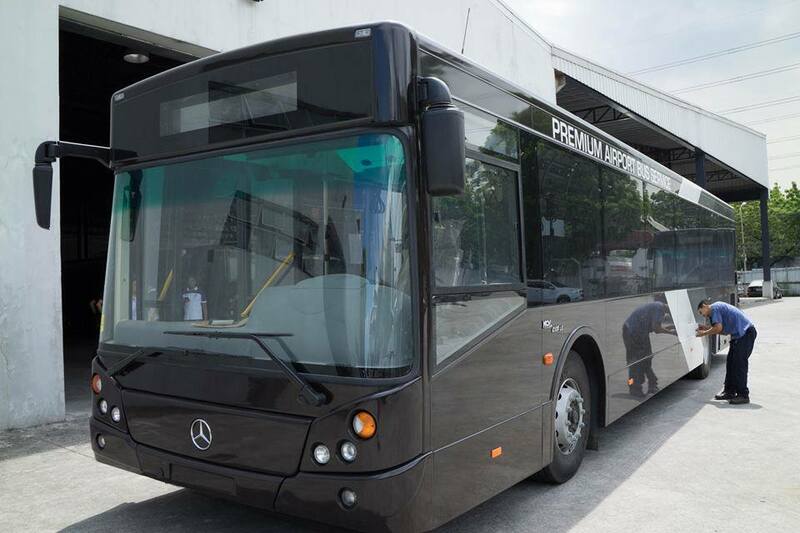 There are 21 brand new Mercedes Benz air-conditioned buses from UBE Express that is now available for travelers and passengers going to and from the Ninoy Aquino International Airport (NAIA) for only P150. This is already opened for OFWs and their families. 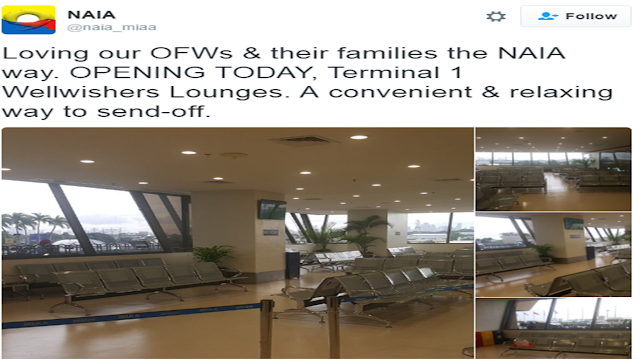 Well-wishers can stay in lounges to say "goodbye" to their relative who is bound to work overseas. 7. 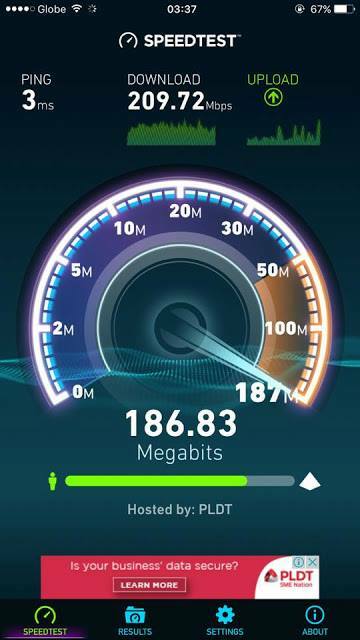 High-speed WiFi access at NAIA Airport up to 1GB per Second speed! This was launch last September and will be free until Oct. 10, after that, passengers will enjoy one-hour free high-speed Wifi access of up to 1 gigabit per second. The next hours of using will be charged. 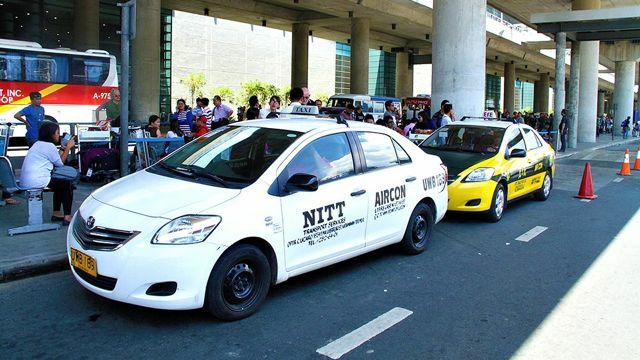 Last July 18, regular taxis are allowed to pick up passengers from NAIA terminals to avoid long lines at the arrival curbside taxi bays. 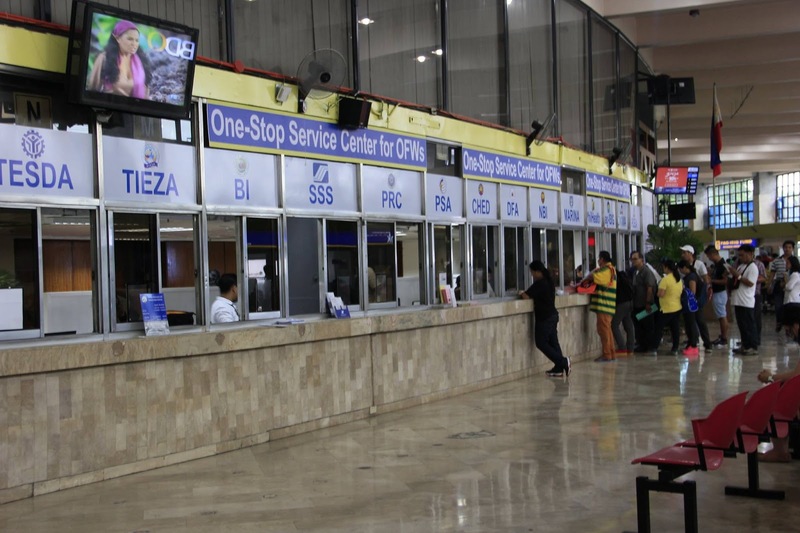 It opened last August 15 in Philippine Overseas Employment Agency (POEA) in Mandaluyong City, after the order of President Duterte that aims to reduce transportation expenses of OFWs and shorten the processing time for their documents. Other branches of One-Stop-Shop for OFWs is also now opened in different regions in the country. 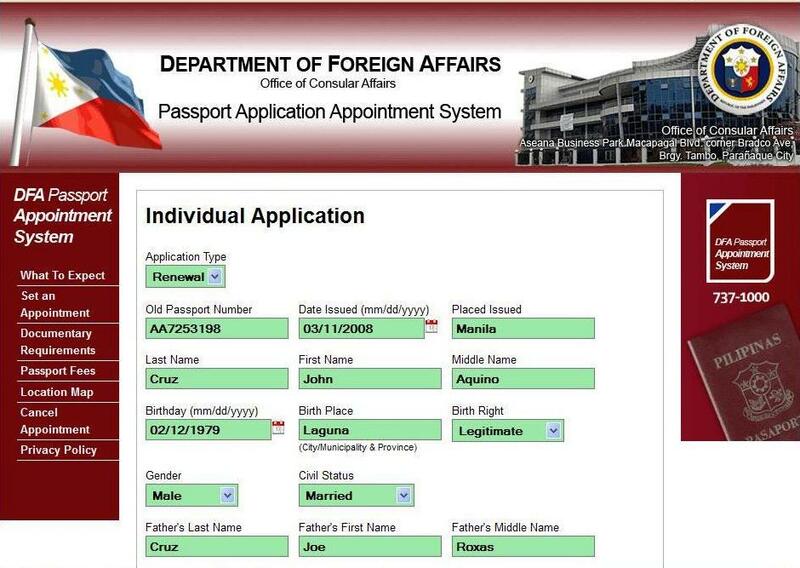 The President Ordered Foreign Affairs Secretary Perfecto Yasay Jr. to eliminate the long queues of people applying for passports in DFA offices by giving a list of requirements to passport applicants. Also, in the latest public advisory of DFA, OFWs and seafarers no longer need an appoinment in passport application in DFA Robinsons Galleria Branch. 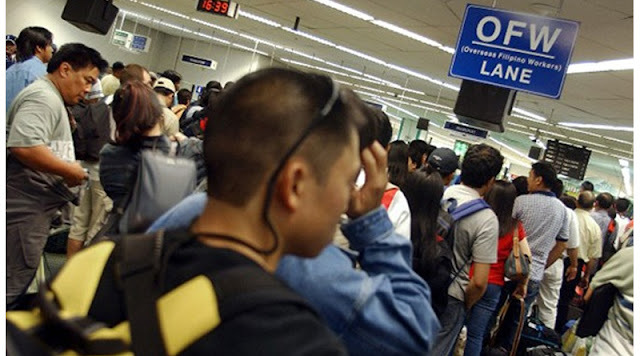 FASTER PASSPORT PROCESSING: 30 MINUTES TO ONE DAY FOR OFWS, PRINTING 5 DAYS TO ALL! 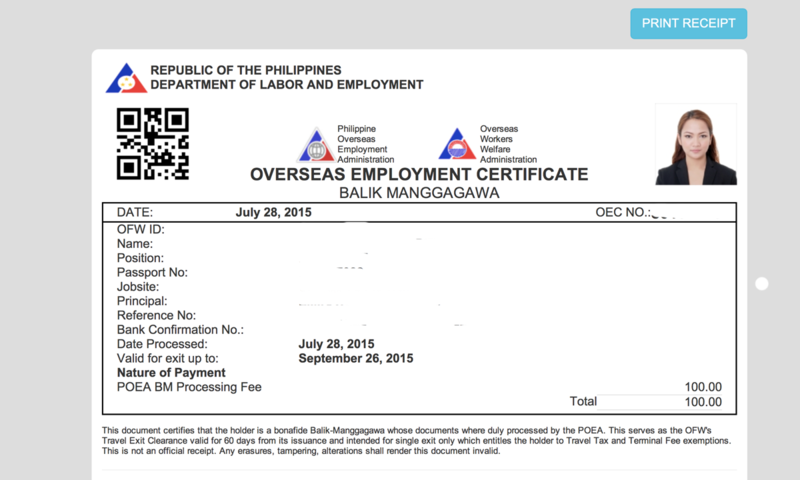 This is a joint project of OWWA and DTI for OFWs and their families who want to pursue entrepreneurial undertakings. OFWs can loan from P100,000 up to P2 million pesos under OFW-Enterprise Development and Loan Program (OFW-EDLP). Conditional Cash Transfer (CCT) or Pantawid Pamilyang Pilipino Program is the government’s anti-poverty program. The President promised retrenched OFWs, especially from Saudi Arabia to be included in CCT program until they will have a stable job again. 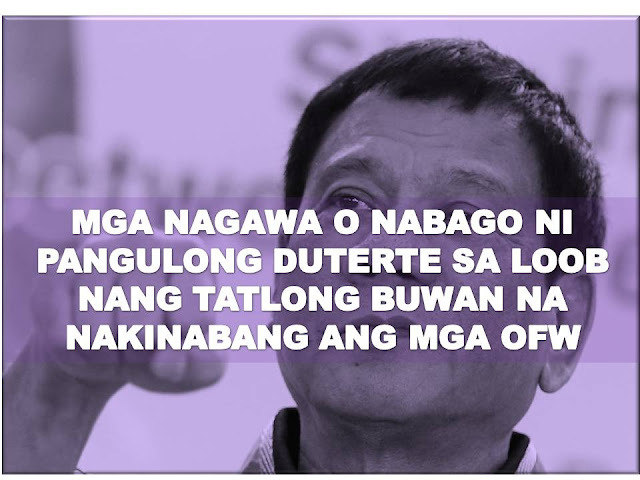 He also gives free education for children of the repatriated OFWs.